So it goes: you own a fantastic collection of DVDs and Blu-rays from every genre known to man and beast, but you lack the proper furniture to showcase it all. What a pity, you think, until you realize you live no more than a short car ride away from a superbly stocked and family-operated furniture store right here in Memphis, Tennessee—Memphis Furniture, to be exact. After a long week at work, we like retiring to our TV rooms, like any American family. And as a family, we can appreciate the difference a great entertainment center makes when it comes to organizing and enjoying our favorite films and shows. Because we care, we want you and yours to feel as relaxed and comfortable with your own exceptional entertainment furniture. 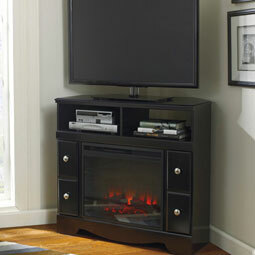 Your TV stand can simply be a piece of furniture, or it can be a statement in itself. We make it easy to purchase a mount and shelf for your television that will make your entertainment room a space that pleases you and your guests. 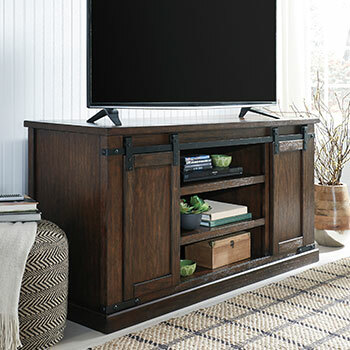 Weigh a rustic weathered look versus a dark and rich contemporary, as you choose a TV stand that will set the scene all by itself. Casual or industrial, we carry it all—at prices you won’t find anywhere else in the Tri-State area. A homeowner with an entertainment center in their TV room surely means business. Between the adjustable shelves and the console space, you have everything you need to recreate a truly cinematic experience for yourself, your friends and loved ones. We give you plenty of option, as you browse our collections of modern centerpieces—complementing any size room or aesthetic, be it large, small, chic or antique. As charming, cool and subtle as entertainment furniture gets, a new LED fireplace may be just what you need to upgrade your TV room. 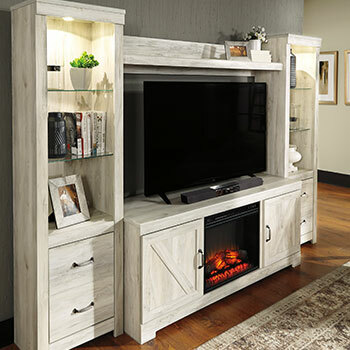 We carry LED fireplace units that you can easily insert into any number of our best-selling TV stands and entertainment centers—creating a mood and a sense of ambiance that you and your guests won’t soon forget. 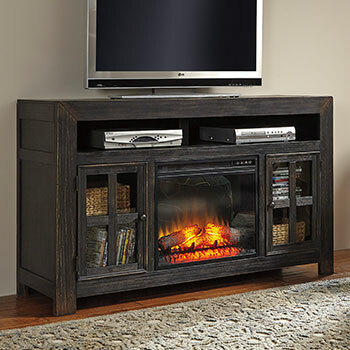 Get an electric-powered LED fireplace or entertainment center for your own TV room by visiting Memphis Furniture off Winchester Road in Memphis, Tennessee.